The handy, compact and powerful Puzzi 8/1 C spray extraction cleaner is ideal for small areas and interim cleaning with excellent cleaning results. The NT 25/1 Ap is a commercial grade dust extractor that provides dependable, trouble-free operation due to a semi-auto filtration system and the capability to switch from wet to dry work without swapping filters. 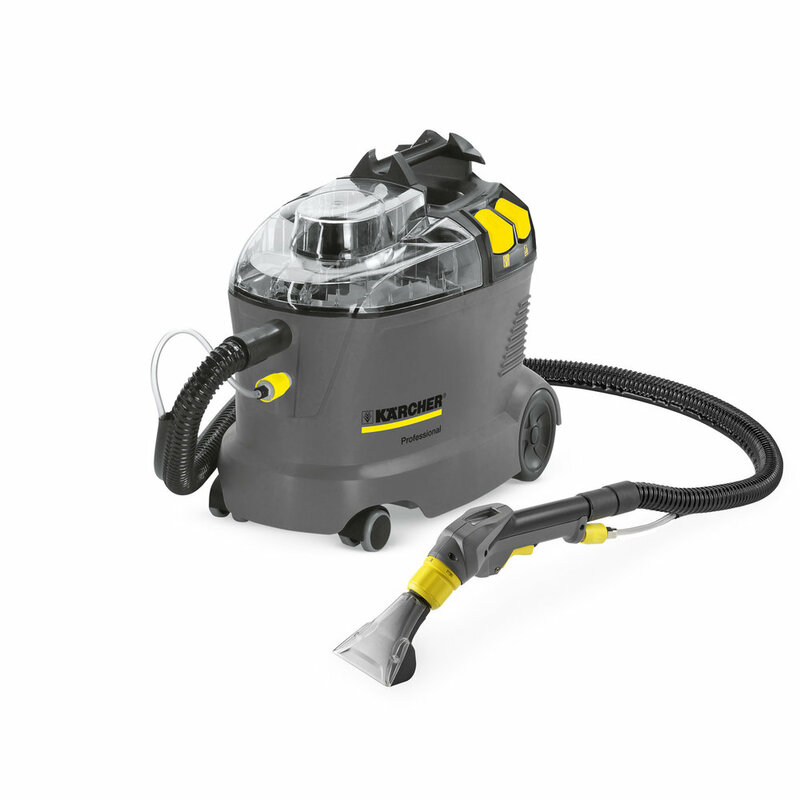 This powerful vacuum cleaner picks up coarse dirt and liquids as well as large quantities of fine dust. Tact, the fully automatic cleaning system, cleans the filter with strong air blasts. It is ideal for long periods of uninterrupted use and constant high suction power. Rugged dependability that gets the job done. The NT 40/1 Tact Te has the power to get the job done. The motor of the machine has no carbon brushes—ideal for the rigors of industrial use. If features a life expectancy of over 5,000 hours. 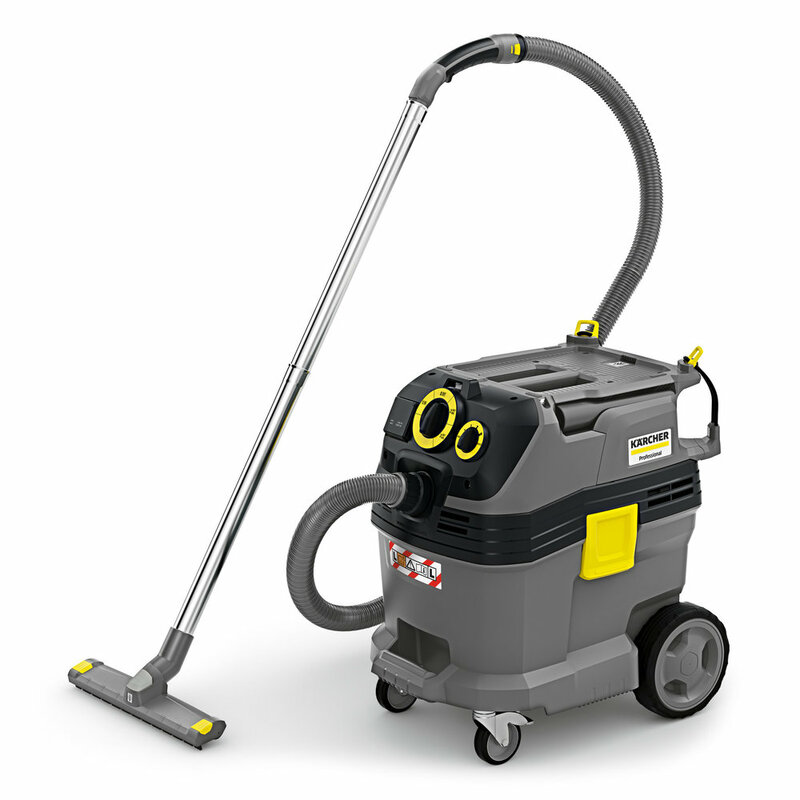 The NT 50/1 Tact Te includes an improved Tact automatic filter cleaning system - improved cleaning performance and reduced noise level. 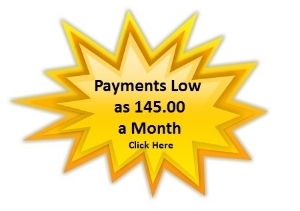 It is fully compliant with OSHA silica dust regulations. Wider, inner diameter of vacuum hose: 1-3/8"
This standard class wet and dry vacuum cleaner is ideal for wet and dry vacuuming of small areas with powerful suction performance. Robust, affordable and versatile, it effortlessly picks up dirt and liquid and is ideal for the contract cleaner and automotive industry. The NT 68/1 offers more efficient water pick up with its front mounted and self-adjusting squeegee assembly. Its unique 18 gallon capacity is designed to empty complete without the need for tipping.